Today we’re going to put this week’s moves into a sequence to challenge yourself. 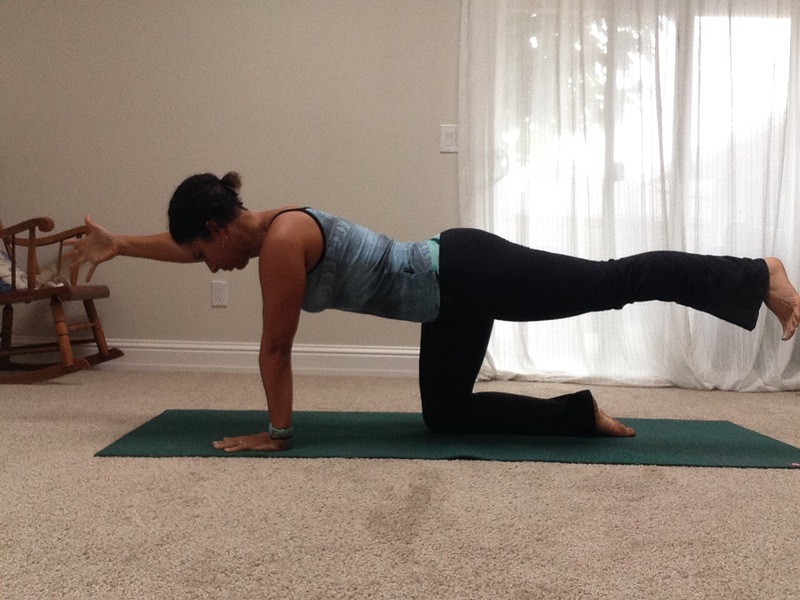 We move from your Plank to all fours and right into spinal balance, then knee to elbow crunch, to side plank T-Flow. 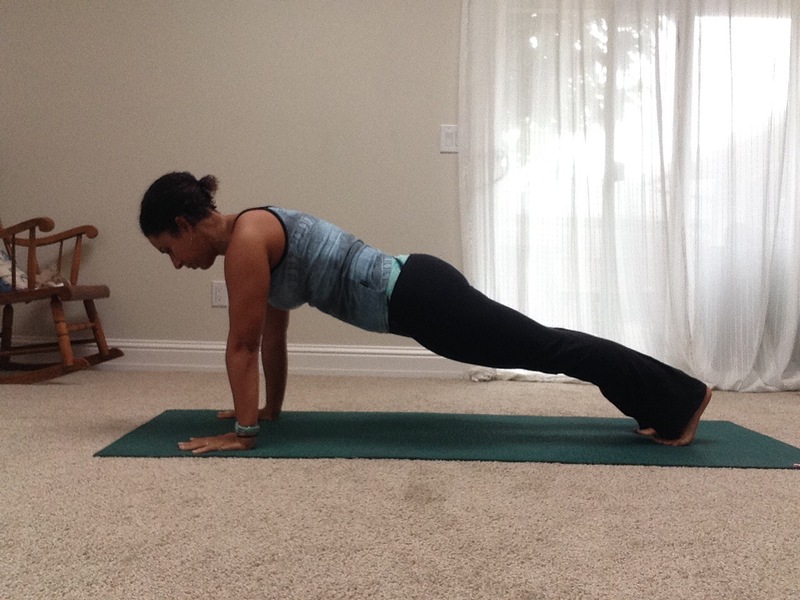 Hold Plank 3 long breaths. This is YOUR version of plank, make it strong. 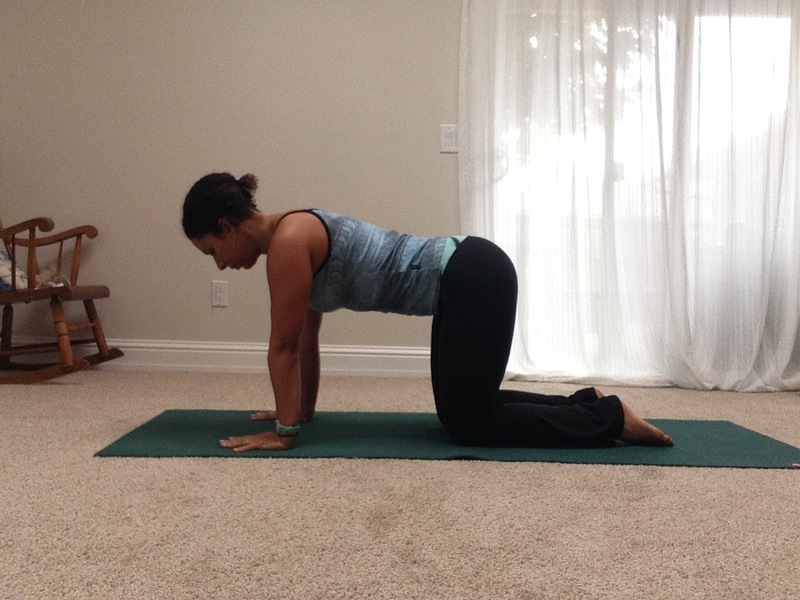 Inhale, Spinal Balance on one side. 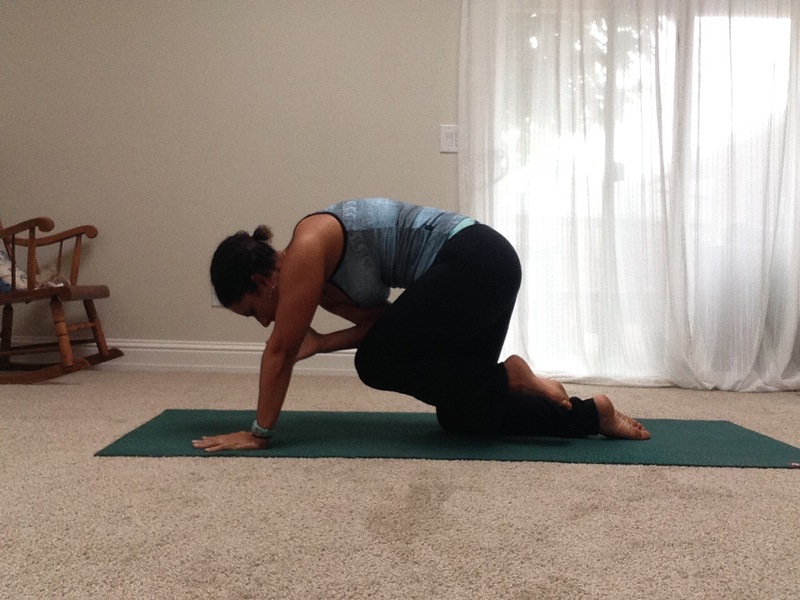 Exhale, knee to elbow crunch. Repeat 3 rounds. Inhale up to a “T” (flow from yesterday). Take 3 “T” flows. 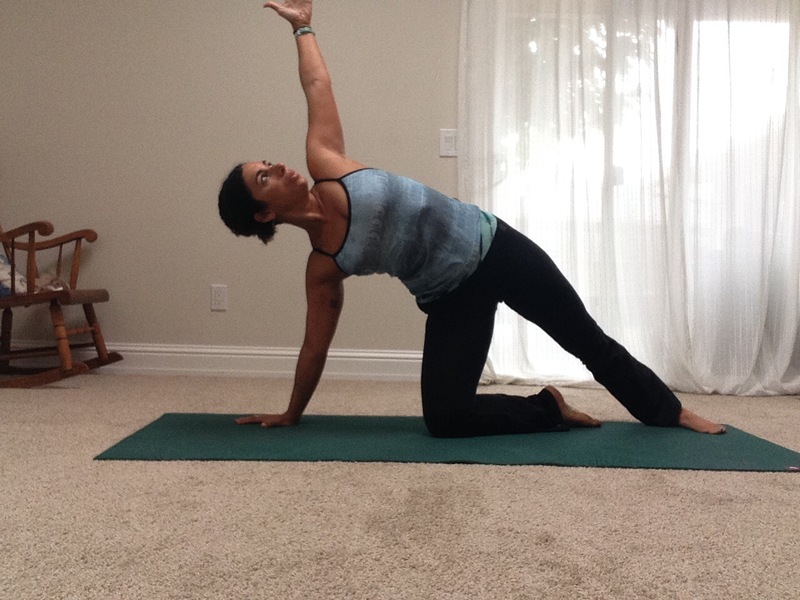 Keep going with another round on both sides or rest in Child’s Pose. This sequence will definitely get your breath and blood flowing. Have fun with it, and challenge yourself to do more than one round! 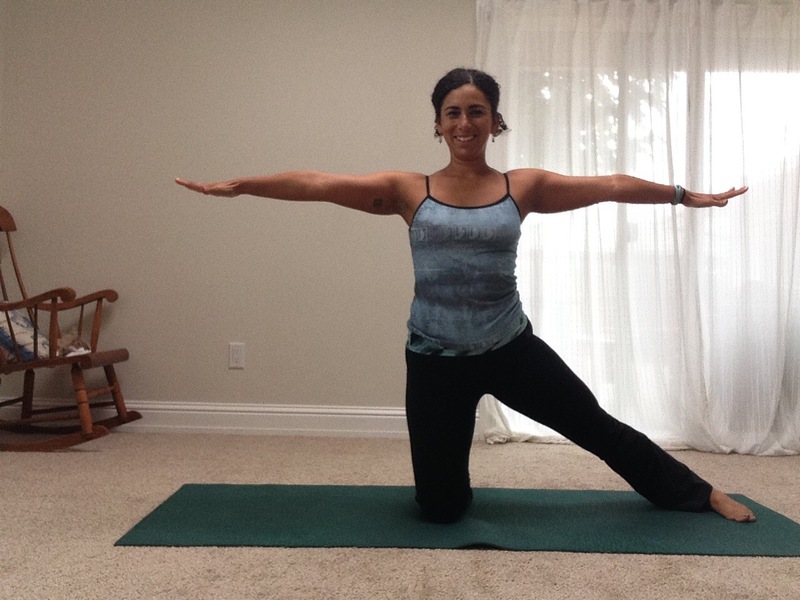 Posted in Benefits of Yoga, Pose Breakdown, Summer of Core and tagged Abdominals, abs, core, Crosstraining, Flow, Pose Breakdown, Practice, strength, Strong, Summer of Core. Bookmark the permalink.